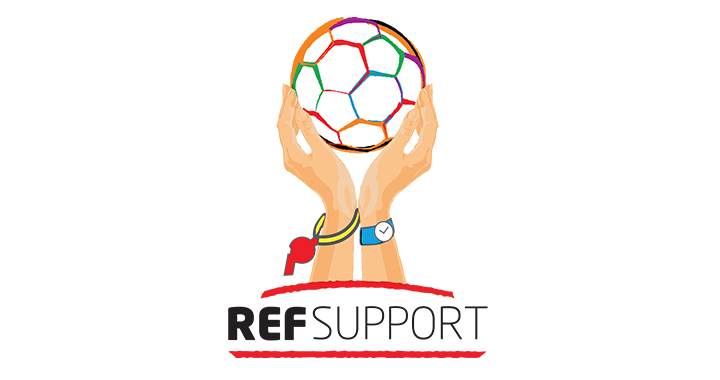 Ryan Hampson an Ambassador of Ref Support UK was charged by Lancashire County FA for Improper Conduct under FA Rule E3. The charge related to the creation and distribution of an email sent to a club who had three adult coaches charged with seriously verbally abusing a 14 year old referee. The charge against the coaches was found to “be not proven” however, the parent of the referee contacted us for help as he felt polices, processes and procedures were not followed by Lancashire County FA and they had not answered serious questions asked by the father of the referee in regards to how the case was handled. This case is now with The FA and we are waiting for the result of that appeal. The FA held jurisdiction over our ambassador’s case and not Lancashire County FA as per rule 4.1. We believe this was a very appropriate action by The FA who handled this case impeccably and we wish to place on record our appreciation to Mark Ives at The FA and the commission for the professionalism, fairness and just response to what we believe is a ground-breaking case. The FA appointed an barrister as Chairman of the commission and this appointment ensured all polices, procedures and processes were followed diligently. The verdict was Not Proven against Ryan and we believe this is the correct and a just verdict. The recent incidents in the professional game and at grassroots are clear proof that no level of football is immune to abuse and assaults both on and off the field of play. Charging an Ambassador of a registered charity for addressing these serious issues should never have been allowed to have taken place and does not send out a message of taking these issues seriously. We want to work with all stake holders in the game to eradicate the attitude shown towards referees that they are an acceptable target for abuse and assaults. We now ask the FA to engage with us to seek clarification of The FA Rule E3 where by any participant can be charged, even when they are acting outside of their registered role within football, this very rule contravenes the law of the land regarding freedom of speech as well as The FA’s own Safeguarding procedures for whistle blowing, we also ask that The FA further discuss with us the contents of the #lovethewhistle document sent to them over 16 months ago. The first step for progressive, positive and effective discussion to address these issues is to seek support from The FA to investigate, the role of a match official being framed as a vulnerable role and allow the extra protection already offered to others within the public sector. We believe that doing nothing is not an option and we hope The FA, County FAs and all football stake holders agree that more needs to be done to encourage a more enjoyable experience for all who love the game of football. Addressing the subject of referee abuse with a cohesive and collective approach will encourage participation of players and referees alike therefore; encouraging football a more positive experience than it is now.